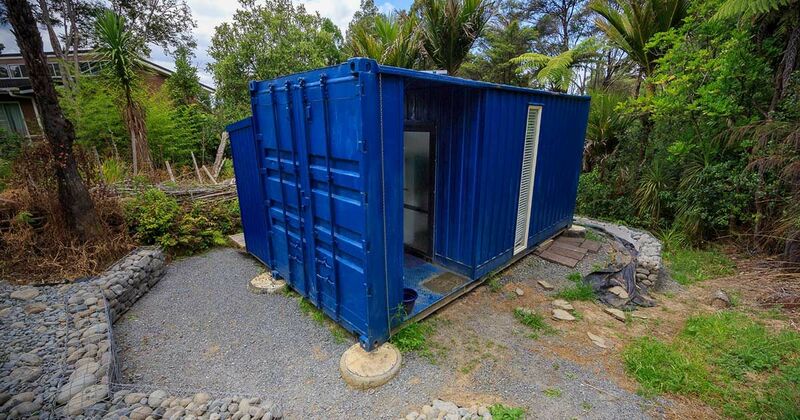 Shipping container living is a relatively new phenomenon, but the concept it's based upon has been around since man has had to have a place to live. According to Housing: Then, Now, and Future, only during the twentieth century have homes grown to average 2,000 square feet (186 square meters). 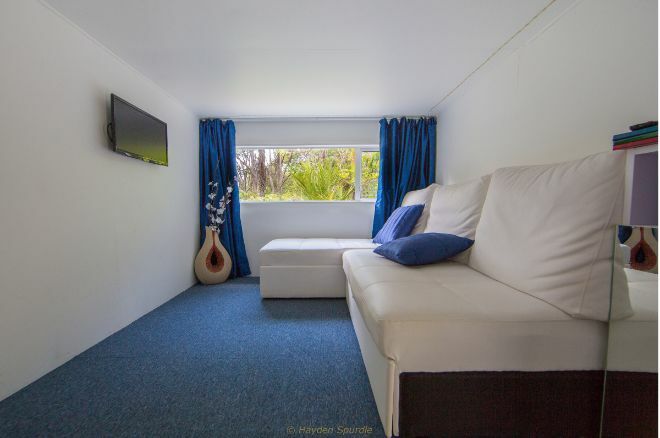 Brenda Kelly of IQ Container Homes in New Zealand is the inspiration behind the company's shipping container homes. 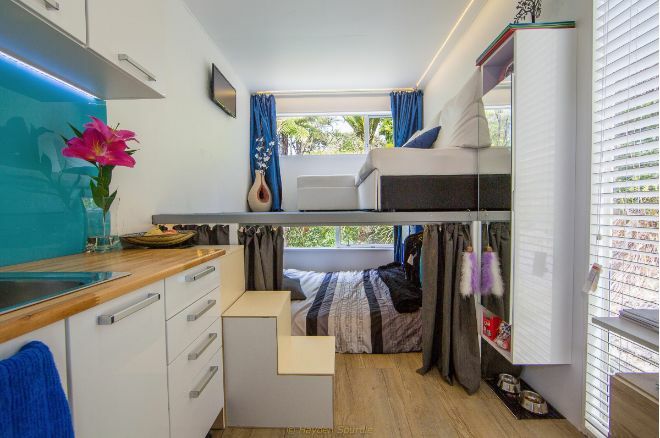 According to the company's site, Kelly has loved tiny spaces and innovative designs for those spaces since she was a child. Now she not only designs container homes, but also lives in one that serves as a model for the company. The home below takes a 20-foot (6 meters) container and uses only 107 square feet (10 square meters) of it for living space. In a YouTube tour of the tiny space, Kelly points out how the high ceilings and white walls keep the tiny space from feeling too closed-in. 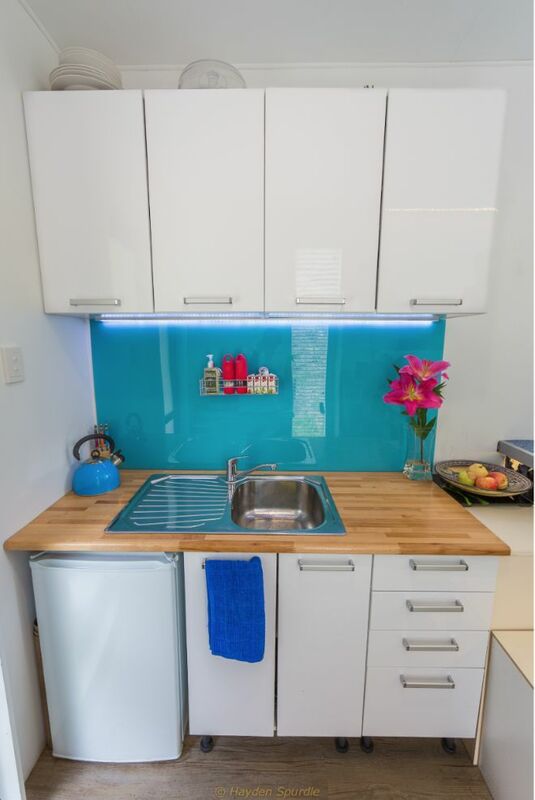 Tall cabinets give extra storage space in the kitchen, and a small refrigerator under the counter contains her perishables. In an unusual move, Kelly placed the living room above the bedroom. This allows her to capitalize on the gorgeous view outside her window. The couch transforms into a double bed and has extra storage underneath it. 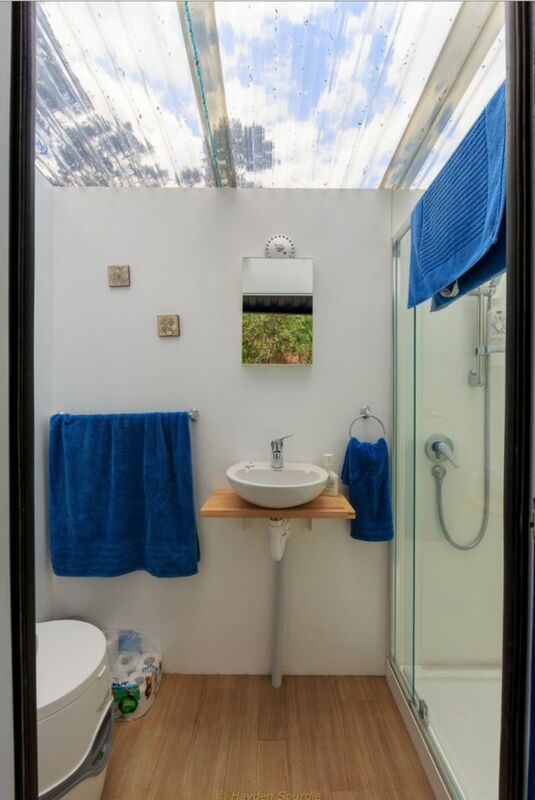 A clear roof for lighting in the bathroom keeps the room bright and allows natural light to warm the room. Kelly uses a larger shower and doesn't scrimp on the bathroom space. 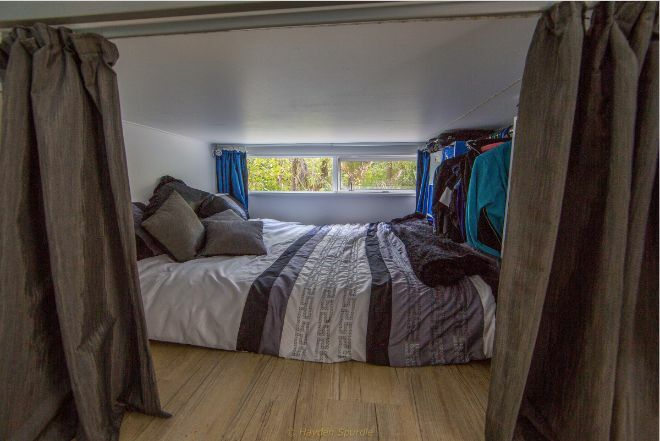 The bedroom is below the living room and has a ceiling that is three feet (1 m) high. This gives plenty of room to comfortably sit up in bed without hitting your head on the ceiling. The closet is at the foot of the bed, and wardrobe space is on either side of the clothes rod. Through the wise use of color, lighting and space-saving furniture, Kelly manages to make a small space warm and inviting. Her ability to think outside the box has made her able to live quite comfortably inside a box.